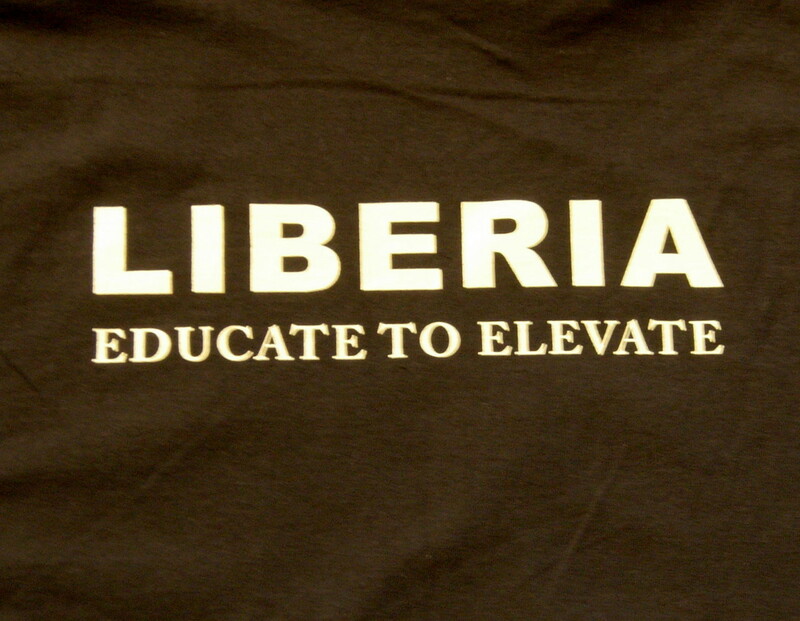 Black unisex t-shirt with wording "Liberia" on the front and "Educate to Elevate Liberia" on the back. 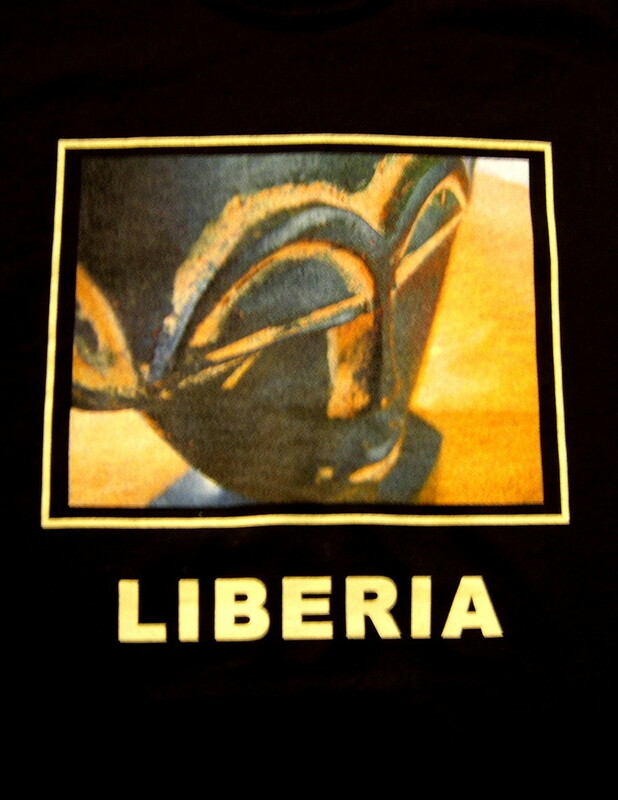 50% of the proceeds from the sale of each t-shirt will be donated to Rescue and Empower African Women and Children "REAWC". to participate in and benefit from their societies. To learn more about REAWC, please visit their website at http://www.reawc.org. Thanks for your support. 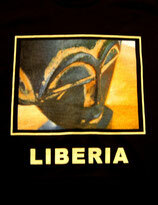 The Women and children of Liberia and Sierra Leone thank you as well.